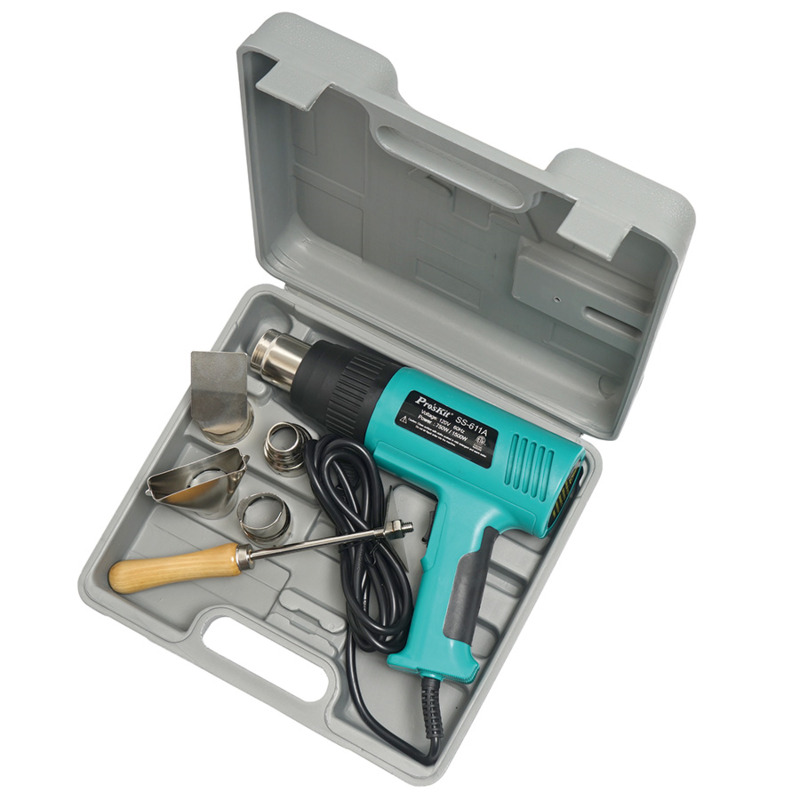 Ideal for a wide variety of applications. 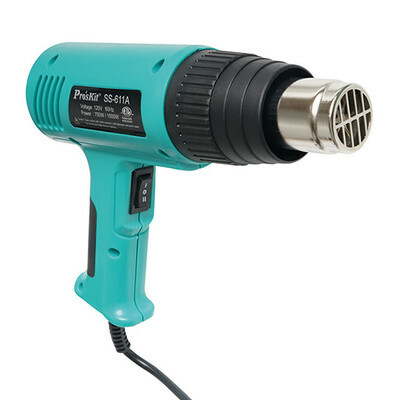 Heat gun comes with 4 nozzles and scraping tool for paint and varnish removal, forming plastic, shrinking packaging, and more. 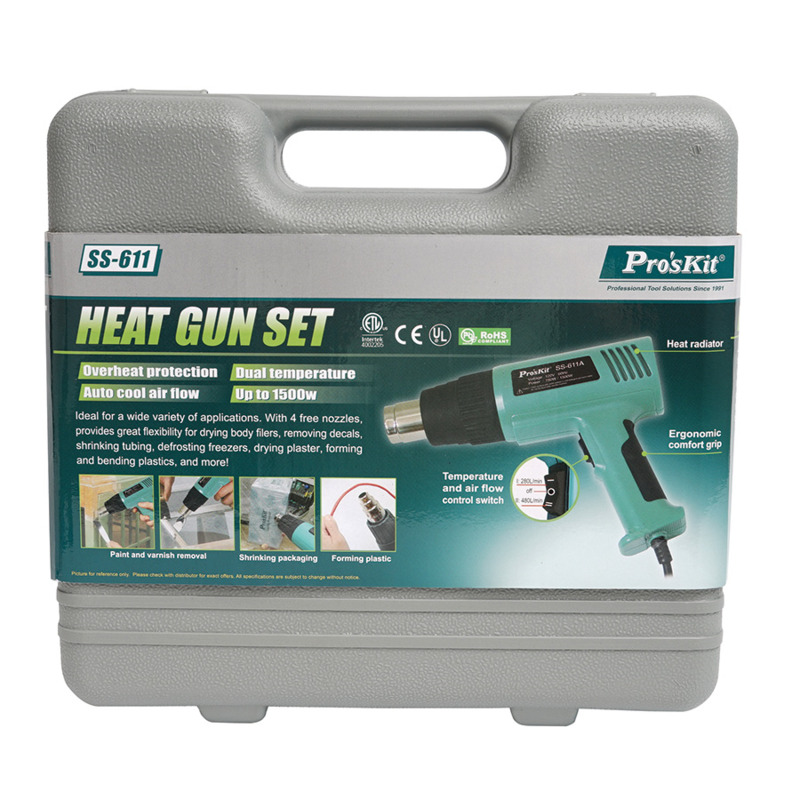 Dual temperature switch, overheat protection, and hard plastic storage case make this a great buy.